The transport of pianos and other large delicate items is a job that is best left to professionals. Trusting such a delicate instrument to inexperienced and uneducated movers can cause severe damage to your piano or knock it out of tune. Any misstep or small bump could wind up costing you thousands in repair costs. We do this kind of thing everyday and have for the last 10 years. Our team has a pretty good handle on what needs to be done. Let's face it, your piano is one of the most cherished and expensive investments that you own. This is why the highly trained piano moving team at Pompano Movers is really the only clear choice. Entrust the care of your piano to us and let us deliver your piano to it's destination in pristine condition. We use air ride trucks to transport all pianos and large antiques. Let us alleviate your fears when it comes to moving your piano, our highly trained moving team will get the job done the first time, every time. It doesn't matter if it is a piano or a large precious antique, our expert moving team provide their customers with a safe, damage and stress free move. Whether you are a musician or your piano is a family heirloom, it does not make sense to hire a moving company that is not only unequipped but uneducated about piano moving. Pompano Beach Movers have the expertise to transport your piano or any large piece of furniture. Hiring inexperienced movers or trying to relocate it yourself is not only unsafe but can wind up being a serious financial set back. All it takes to damage a piano or large antique is just the slightest jostle or bump. That is why it is important to choose the right moving team for the job. Through packing and careful shipping your piano is guaranteed to arrive safely and sounding as it should. Using a professional piano moving company is really the only clear solution to protect yourself and avoid costly mistakes. 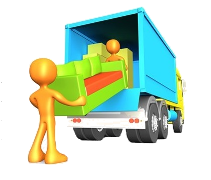 Pompano Movers are fully licensed, insured and bonded in the state of Florida. Our South Florida relocation moving team will always strive to surpass all your expectations and provide you with quality service and peace of mind. All this at the lowest prices in town. 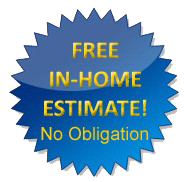 So contact us today at (954) 455-8987 for a free estimate or take advantage of our free in house estimate service for a guaranteed quote in writing.